Energy simulation and life-cycle cost calculations is based on information extracted directly from BIM and validated by energy modelling. The models are created to a LOD and quality as required to perform an energy analysis appropriate for the phase and decision requirements of the project. When internal spaces are defined, they are modelled with internal environment parameters for early MEP design. 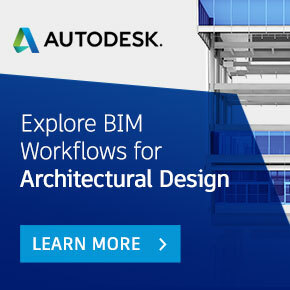 Design Teams utilise energy modelling and sustainable design software that extracts BIM data to the appropriate file format for the analysis tool. Virtual testing and balancing of the architectural model is used to support sustainable building systems design and analysis. Room data can be read from the linked architectural model to create mechanical spaces (each space is the same as the room in the architectural model.) Multiple spaces are joined to create zones. 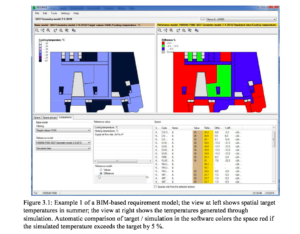 This data can used to calculate native heating and cooling analysis that is built into the MEP software or exported using file formats such as gbXML to an external analysis application such as Trane/Trace. – Evaluate options for window and skylight layouts, surface finishes, reflectors, light shelves and window shading to meet briefed requirements. – Evaluate options for lighting layouts, lamp types and control systems to meet briefed requirements. – Design layouts to comply with relevant codes and standards. – Design passive and active fire control systems (eg. sprinklers) to comply with relevant codes and standards.